Disagree vehemently w/ Jaworski having Bridgewater No. 27 among QBs. 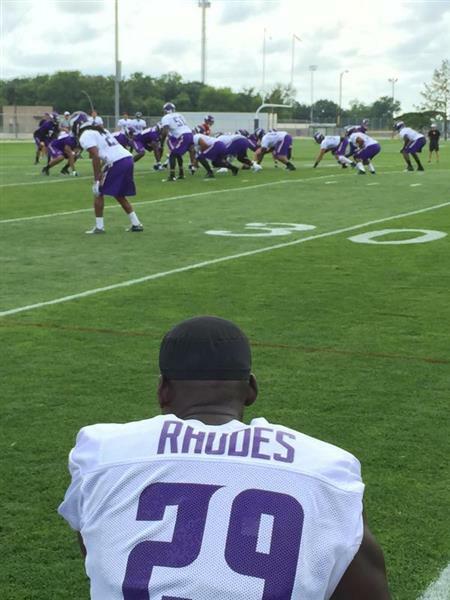 No way he belongs behind Cassel. Teddy should be No. 26. In the same drill, Exum with excellent coverage to break up a pass intended for Pruitt. Reached hand across and poked ball out. 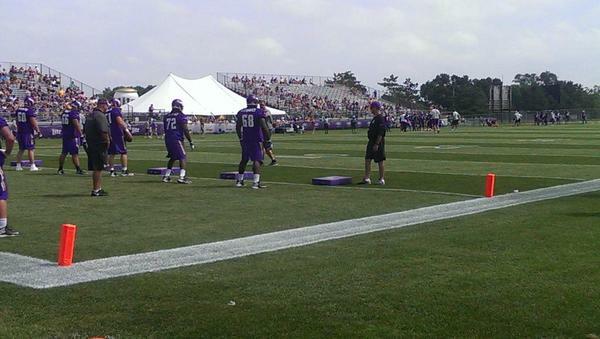 Anthony Barr conditioning on the side with #Vikings head athletic trainer Eric Sugarman. Robinson, Stephen, Daniels not practicing. 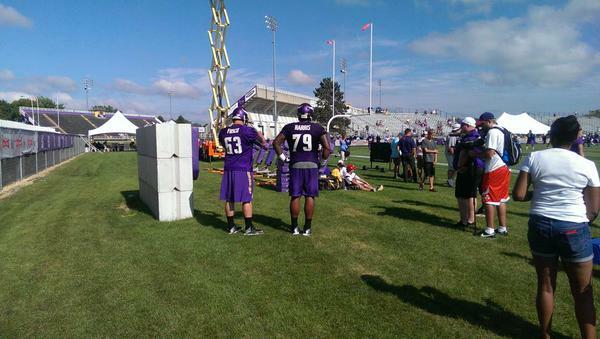 When you're reading play by play of training camp today, just know they're still running around in shorts. 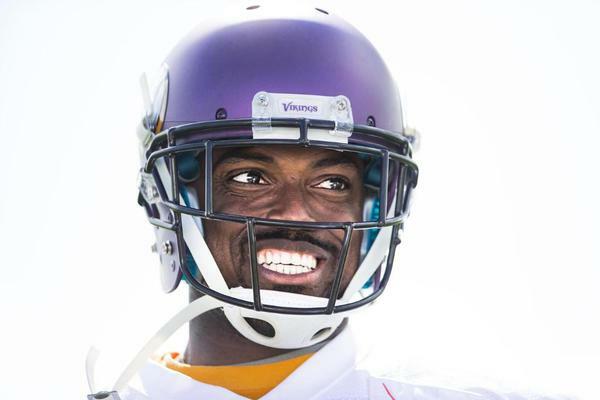 Pads tomorrow. Asked Zimmer about Xavier Rhodes, led to comment on rules: "Tomorrow will be the first day we can press, which in my opinion is ridiculous." 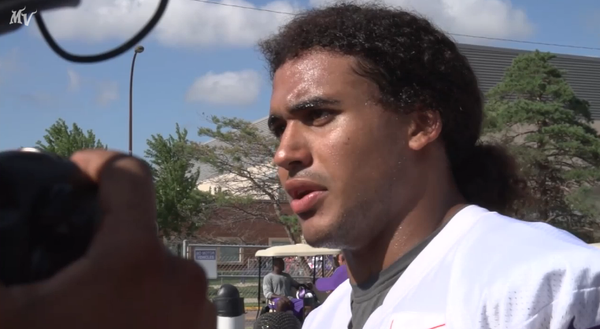 Zimmer frustrated #Vikings CBs haven't been able to practice press technique. 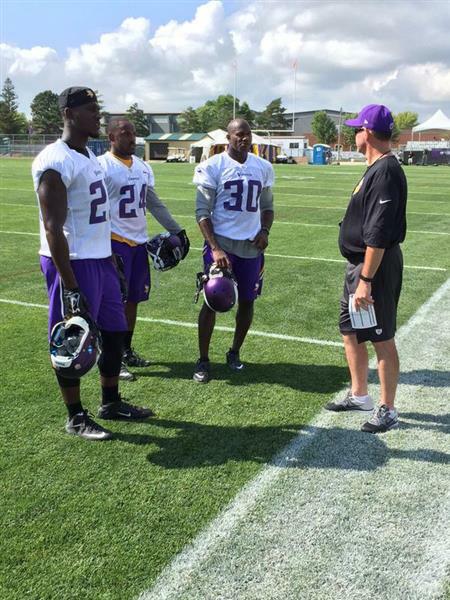 CBA limits that contact until players wear pads in camp. #Vikings won't talk about an extension with Harrison Smith until after the year, I'm told. No rush with fifth-year option already intact.